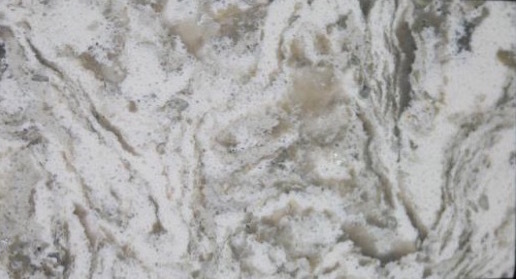 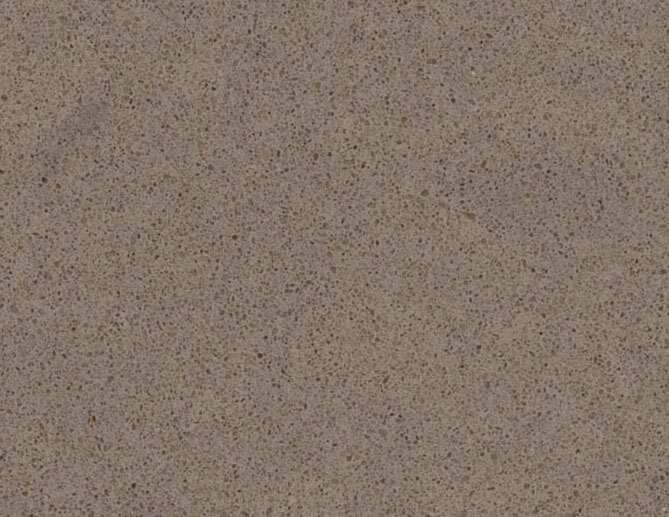 Manufactured or engineered material composed of 93% stone aggregates and 7% resin. 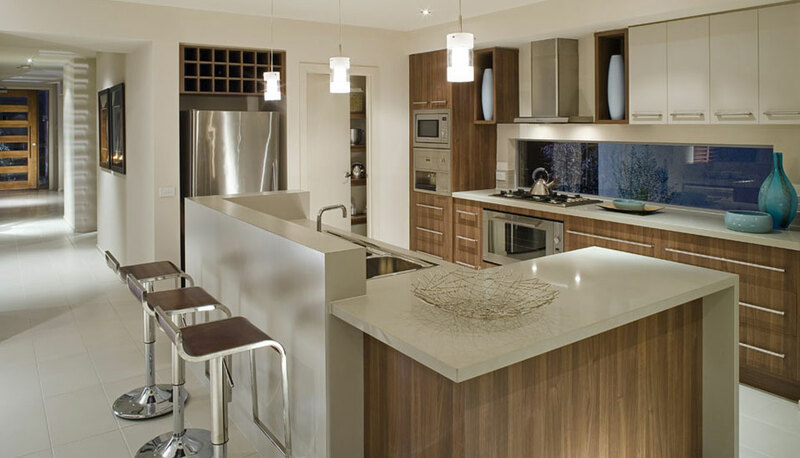 Customized, consistency, current and just plain cool. 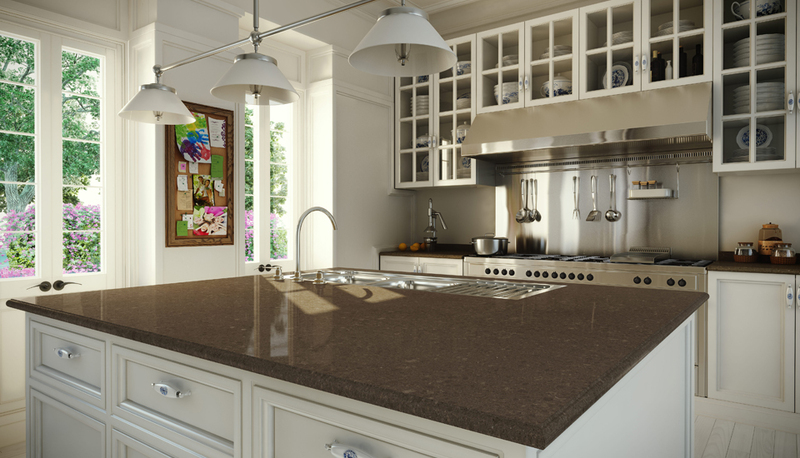 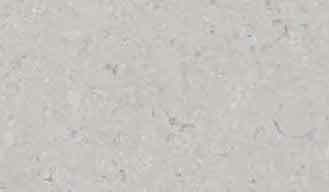 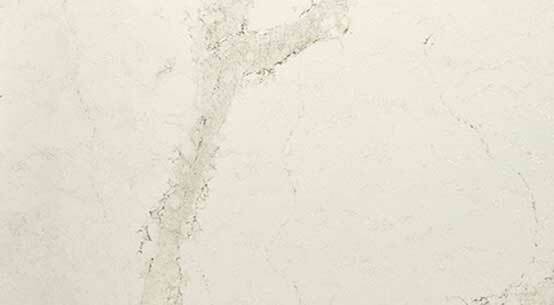 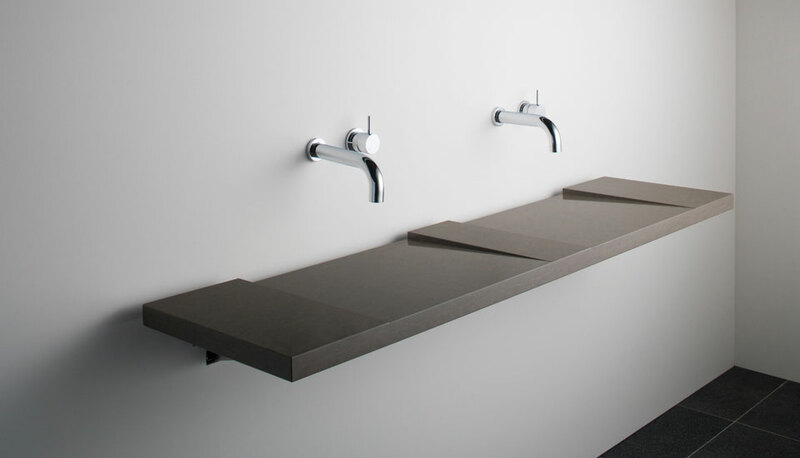 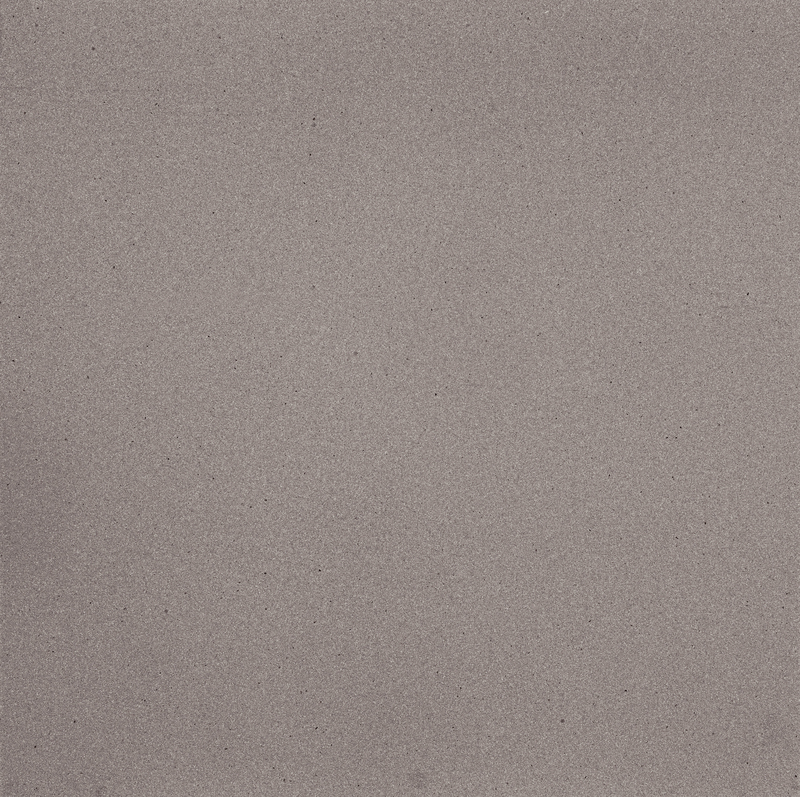 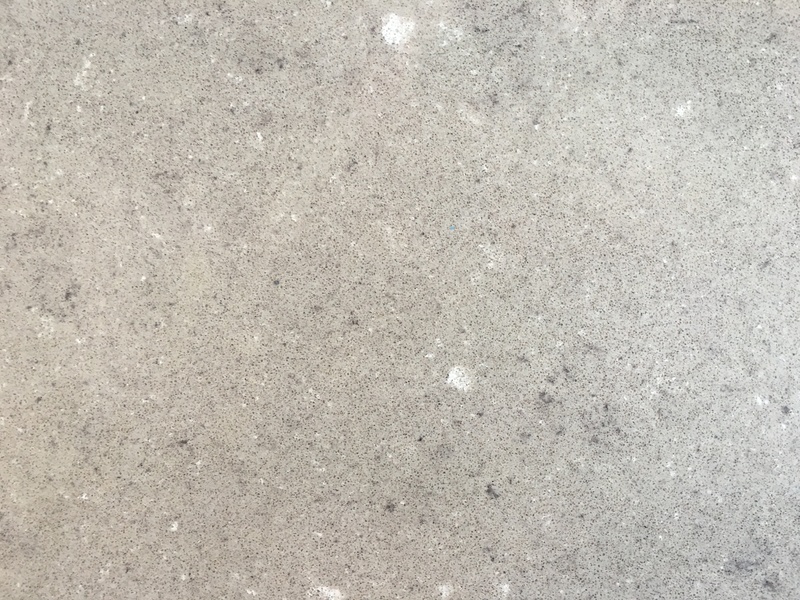 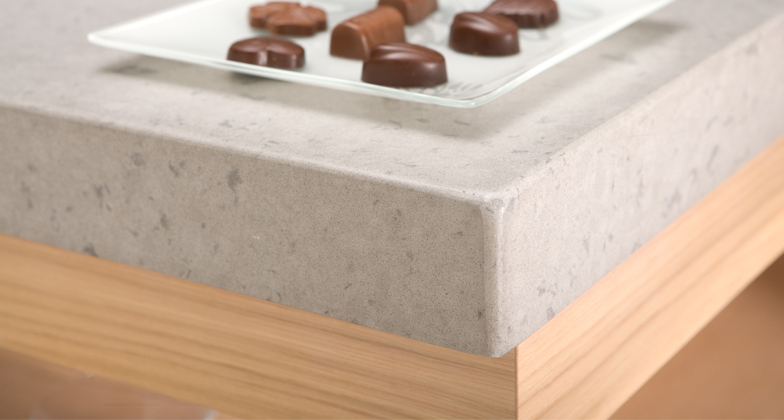 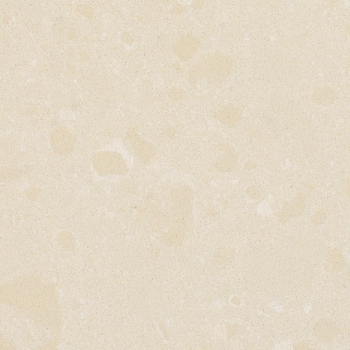 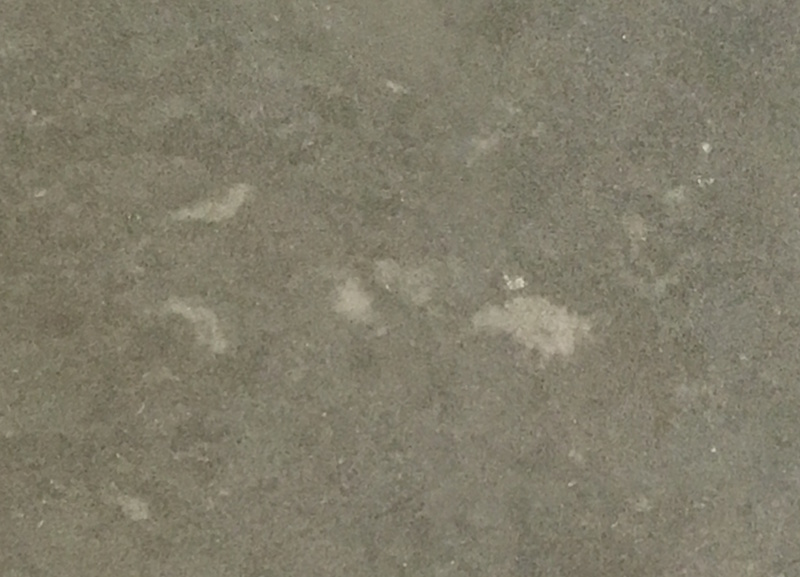 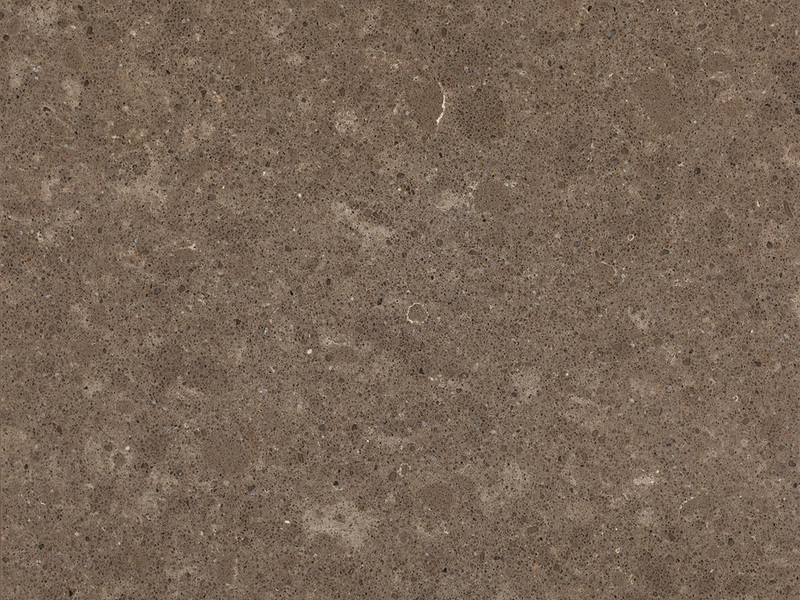 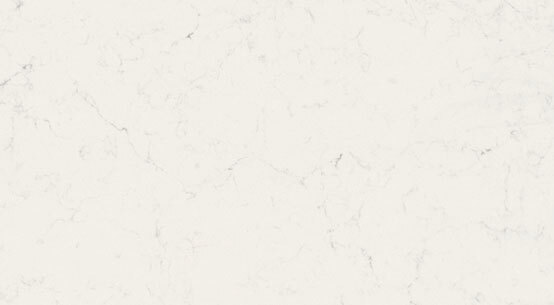 Because Quartz is engineered, you can pick one color that matches with your furniture or overall design goals. 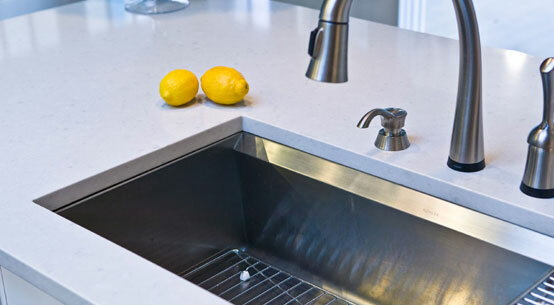 Kitchen countertops and integrated sinks are two of the most popular design features because this stone is so flexibly malleable to fit a unique set-up, but it is that flexibility that points to countless other uniquely selected areas where Quartz creates a sleek look from a recessed draining area to a striking fireplace. 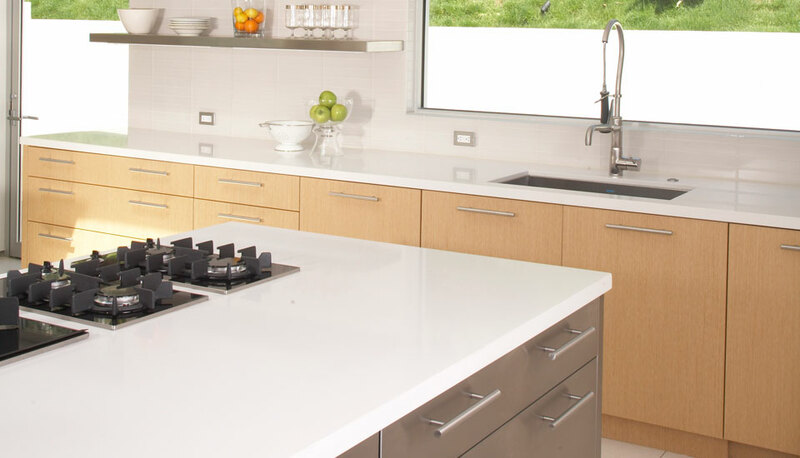 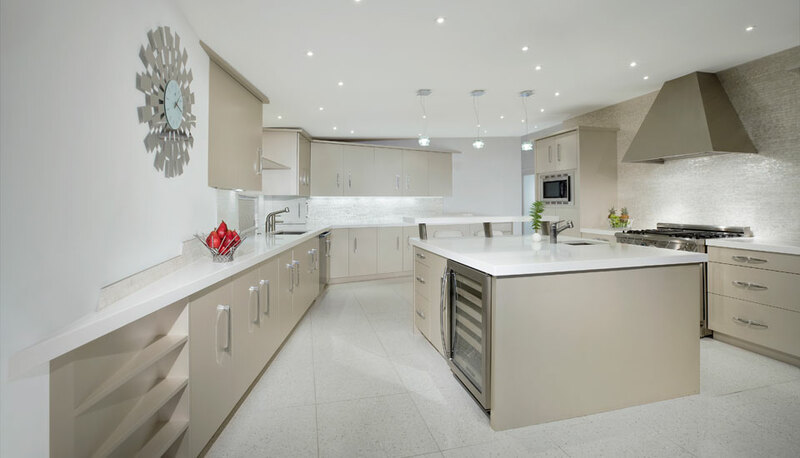 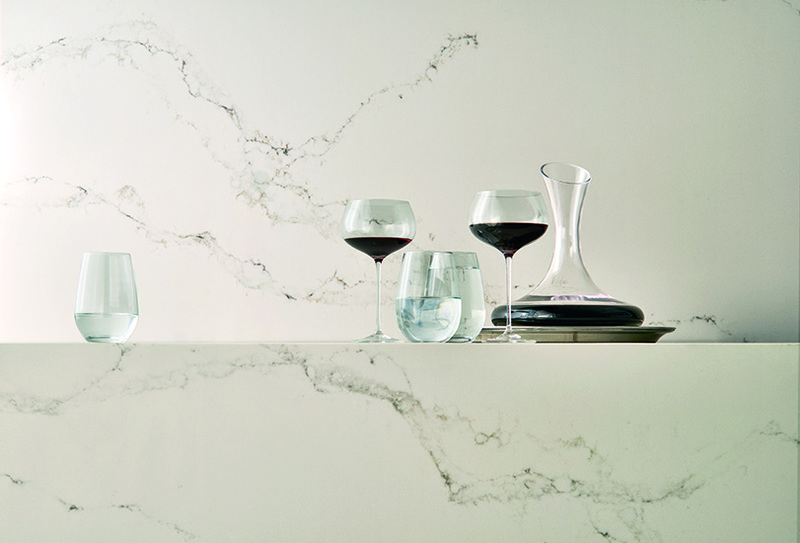 Environmentalists support the use of recycled materials used in certain Quartz designs including crushed glass, mirrors and the waste quartz leftover from the fabricating process. 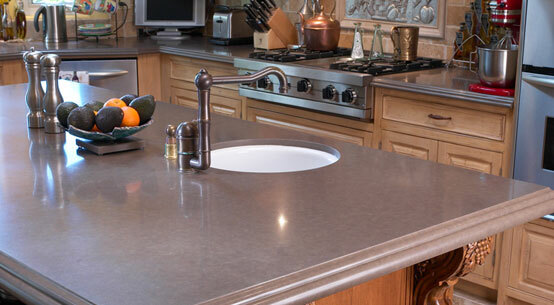 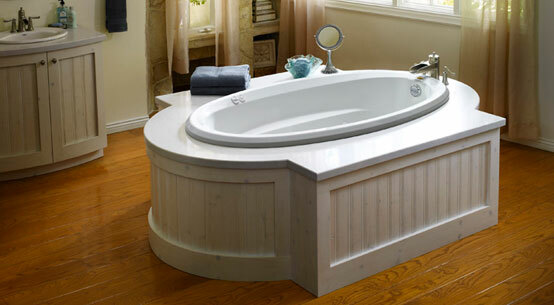 And yes, all of these exotic mixtures of materials and surface treatments remain stain resistant and easy to clean.